At Higginbotham Family Dental, patients come first. We now offer noise drowning headsets for our patients to listen to Pandora music and they can use them with their mobile device or iPod. Our team is here to ensure that your visits are as calming and comfortable as possible. We are not only concerned about your dental health, but your entire well being. We offer all patients, a neck pillow, blanket, television remote, bottle water, hot coffee and water in our waiting rooms, a chair massager, free wifi for all our patients to use, and cell phone charging stations in our waiting rooms and each of our dental rooms. Our caring team will be happy to answer your questions about dental care, services, finances, or other topics. We will do all we can to make you comfortable and confident, so if you need something while you’re with us, please let us know. Rest assured, your clinical care is another priority here. Dr. Higginbotham and his associates have invested in many hours of training and continued education so that we can bring our patients the best that modern dentistry has to offer. In short, you’ll be informed and comfortable, and you’ll receive lasting, beautiful dental work when you choose our office for your dental care. We have several convenient locations in Arkansas, Tennessee, and Missouri and are open now with extended hours and Saturdays. Your convenience and comfort are very important to our staff. Where can I learn about financing options, payment methods, and which insurances you accept? Just ask! We will file most insurances, including out-of-network insurances, but if your insurance provider fails to pay their estimated portion, your balance will reflect the difference. We also accept payment by cash, check, credit card; and we offer in-house financing options through CareCredit payment plans. We now have a Dental Discount Plan for uninsured patients. Call any of our locations for more information on how to sign up. How can I improve my smile’s appearance? Explore our cosmetic services for information about the exciting enhancement procedures we offer, like teeth whitening, porcelain veneers, Snap-On Smiles, and complete smile makeovers. You’ll find that your smile can be brighter, straighter, and more beautiful in just a few dental visits. Dr. Higginbotham and his associates will assess your gums, bite, and dentition, then he will discuss the goals you have set for your image. With this information, they can recommend the best procedures for your unique situation. Absolutely! Over a million successful Zoom! teeth whitening procedures have been performed to date and more than fifty-thousand Zoom! systems are in use world wide. Depending upon your teeth’s color and type of staining, Zoom! may brighten your teeth up to eight shades. 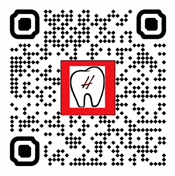 We will discuss with you your expectations for your smile. We have several options for Professional Whitening treatments including Dash, Zoom! Quickpro, Zoom! Pens and customized take-home whitening trays. All are very effective. What are dental implants, and how do they differ from dentures and partials? Dental implants are anchored into the jawbone by small titanium posts that act like natural tooth roots. Dentures and partials are often held in place by clasps that attach to natural teeth. Because dental implants mimic natural dentition, they don’t slip like dentures and partials can. Dental implants can be cared for as natural teeth, with twice-a-day brushing, daily flossing, and bi-annual hygiene visits. Dentures and partials require messy creams and adhesives, as well as a special cleaning regimen. Patients find dental implants superior in comfort to dentures and partials, and dental implants last much longer. Are aesthetic restorations as reliable as traditional metal restorations? Dentists have varying opinions as to which types of restorations, aesthetic or traditional, are superior. However, Dr. Higginbotham and his associates have taken many continuing education courses, and he has found that aesthetic fillings and crowns offer durability, as well as beauty. Our Dentists will suggest a material that will endure normal stress based on the location of your restoration. For instance, back teeth incur more stress than front teeth, so a porcelain-fused-to-metal crown may be the best option. Modern aesthetic restorations are safe and long lasting. If you have questions about any of our services, give us a call. Will you see my children and my grandparents? Certainly and gladly. Higginbotham Family Dental provides services for the entire family, so we will gladly treat your youngest and oldest family members. Our services range from preventive dental sealants for children to dental implants and dentures for patients missing teeth. We appreciate your referrals and will provide the same gentle care to your loved ones as we extend to you. Why do some doctors refer patients for root canals, extractions, and implant surgery? All dentists go to dental school to learn general dentistry. However, some dentists continue their education with advanced training. Dr. Higginbotham and his associates training and experiences have made them confident with many procedures that other dentists refer to specialists. This means that they can perform many cases of root canals, extractions, and implant surgery here in any of our locations. Do you take walk-ins or have emergency appointments? At Higginbotham Family Dental, we understand that dental emergencies happen. That is why we see walk-in patients the same day if you are in pain. We will work you in as soon as possible to relieve you of any discomfort and get your oral health back on track. We also see patients on the weekend, including emergencies and pre-made appointments. Simply call one of our offices or stop by the location nearest to you in Jonesboro, Paragould, Blytheville, West Memphis, and Little Rock, AR, Kennett, MO or even Memphis and Bartlett, TN.